Hope you caught a glance of the cherry blossoms while you had the chance; the petals will be largely blown away thanks to strong winds and rain Tuesday. A strong cold front is sweeping through the region, bringing occasional showers and possible thunder to the area until about midnight. After that, you might not want to be out looking at the cherry blossoms anyway. Temperatures plummeted Tuesday afternoon. Strong gusty winds will develop into the evening hours, blowing many of the delicate petals from D.C.'s cherry blossom trees. Temperatures by the water and inside the Beltway will drop into the low to mid-30s with lows in the mid-20s in the suburbs. Factor in the wind and Wednesday morning will feel like temperatures are in the teens. A freeze warning will be in effect from midnight until 9 a.m. Wednesday. 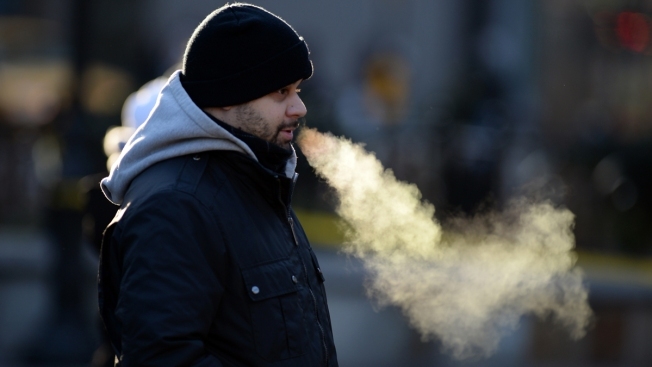 D.C.'s hypothermia alert was activated at 7 p.m. Thursday. Cold-sensitive plants should be covered or brought inside to protect them. But the surprise visit from winter won't last for long. The weather will gradually warm Thursday with temperatures in the 60s this weekend. There is some good news for allergy sufferers -- the rain will also wash much of the pollen out of the air.